NGP Capital Portfolio Review – Conducted reserves verification for an 15-company portfolio of oil and gas assets in support of financing. 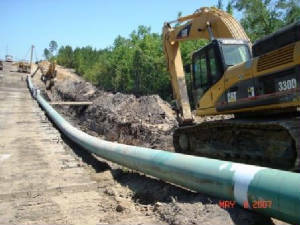 The assets were located in the onshore and offshore Gulf Coast, Midcontinent, Rocky Mountains and offshore California. Brine Disposal Operations Reviews – Conducted multiple portfolio reviews for an acquirer of brine and oilfield fluid disposal operations in Oklahoma and Texas. Selma Wood Pelletizer Conversion - Provided a comprehensive due diligence review of a 275,000 metric tons per year wood pelletizer facility on behalf of an equity investor. The project represents the conversion of a previously existing white pellet facility to a new, proprietary pelletization process. 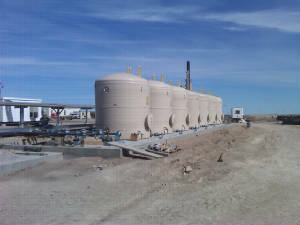 The project is the first commercial-scale facility of its kind in the industry and is scheduled to be operational in 2014. Maricopa Refinery -- Provided a comprehensive engineering assessment and due diligence review of this 150,000 barrel per day refinery on behalf of a potential investor and insurer of the project. Wabash River Coal Gasification – Performed technical due diligence, construction monitoring, performance test monitoring and operations review during the design, construction and operations phases of the Wabash Coal Gasification Project on behalf of lenders to the project. Polk Coal Gasification – Conducted a comprehensive due diligence review of the Polk Project on behalf of a potential investor. Baytown Salt Crystallization – Conducted a due diligence review in support of project financing for this 700,000 tons per year salt crystallization and processing facility. 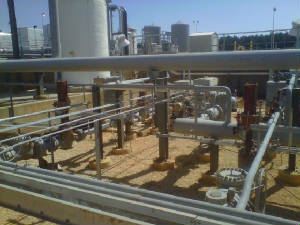 In addition, provided monthly construction monitoring services for this facility. Chatham Ethanol – Conducted a due diligence review in support of project financing for this 300 million liter per year ethanol facility that used corn as its feedstock. 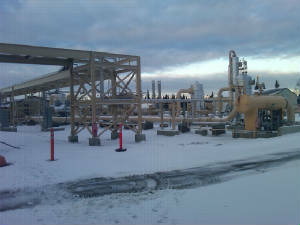 Dow Chemical Fort Saskatchewan – Designed and witnessed a series of performance tests for an expansion of this 1.2 billion kilogram per year ethylene facility in Alberta, Canada. St. Lawrence Forest Products – Conducted a due diligence review in support of project financing for this 480 million square foot per year oriented strand board facility.